Today I visited Marion Manufacturing in Cheshire to take a tour of the facilities and discuss proposals to support the growth of manufacturing in Connecticut. 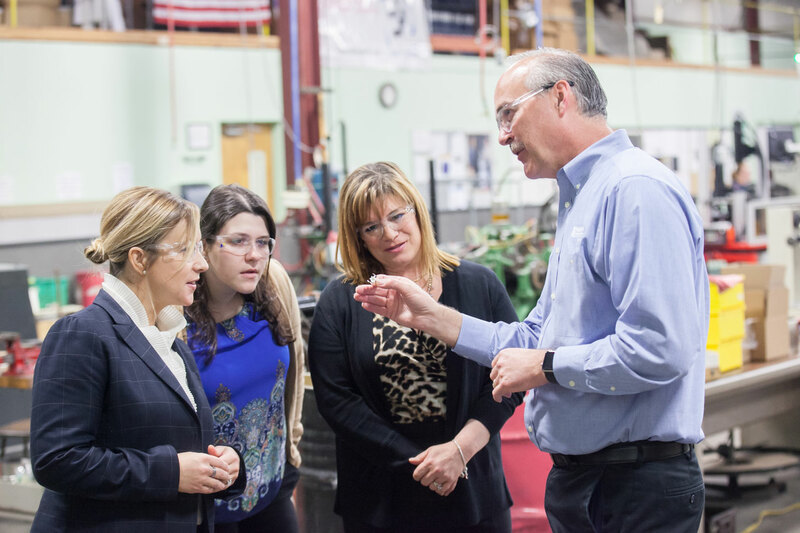 I'm participating in the Connecticut Business and Industry Association’s Adopt a Legislator Program, and I've been “adopted” by Marion Manufacturing. The goal of the program is for paired businesses and legislators to remain in contact with each other throughout the legislative session. Companies provide updates on their business and feedback on business-related proposals being considered by the General Assembly. My door is always open for business owners who have ideas about how we can promote job growth and economic development in Connecticut. As the legislature looks at proposals to better train our workforce and assist small businesses, input from business owners is invaluable. I’d like to thank Marion Manufacturing for welcoming me to their facility today, and I look forward to continuing to discuss how we can make Connecticut a leader in manufacturing.